The bottle is so beautiful! I always have a few face mists in my arsenal. But, since last season, I've gone a little crazy procuring them. 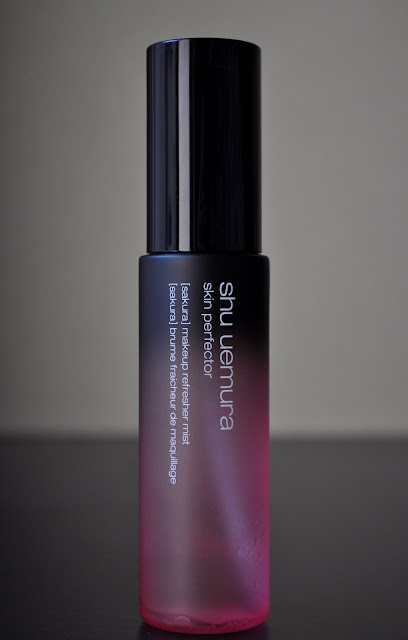 When Shu Uemura released the Skin Perfector Makeup Refresher Mist, in what I thought was the limited edition Sakura scent (but, it's still available in the states and Japan), I didn't hesitate to hit the submit order button. I have two Sakura backups. So, I had a box to post the ingredients. Available in Sakura, Yuzu, Japanese Cypress, and Iris, each of the scents are inspired by Japan's four seasons. 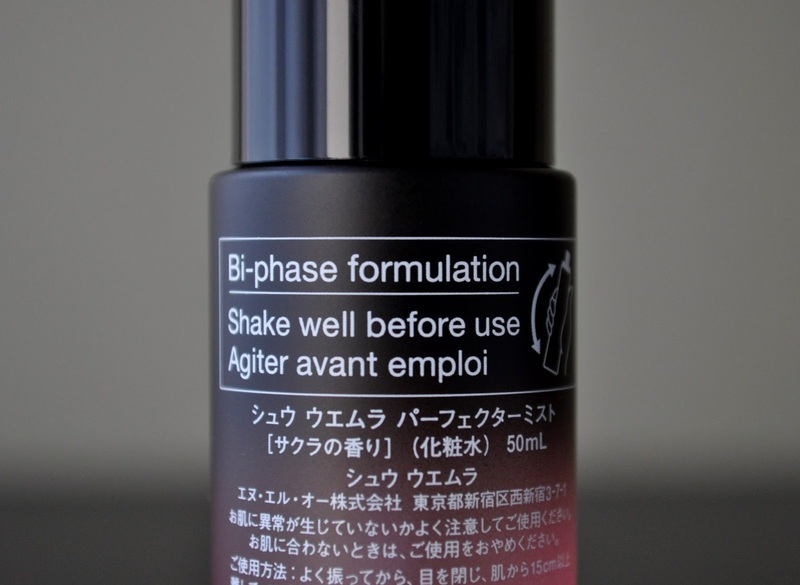 The Sakura has a pleasurable floral scent that's invigorating to the senses. 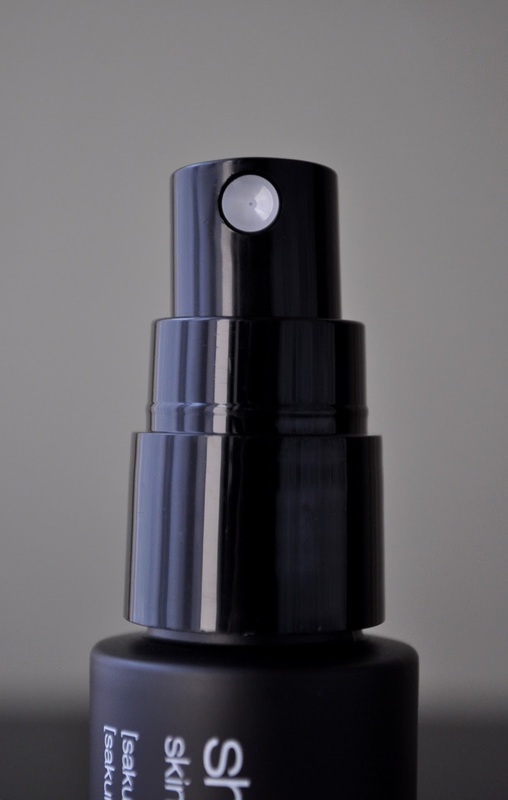 The spray mechanism disperses the fine, velvety mist with a "fan-like" evenness. The Skin Perfector can be used to prep the skin before makeup, as a setting spray in the final step of your beauty regime, or to refresh and rehydrate your complexion and makeup (without disrupting it) throughout the day. 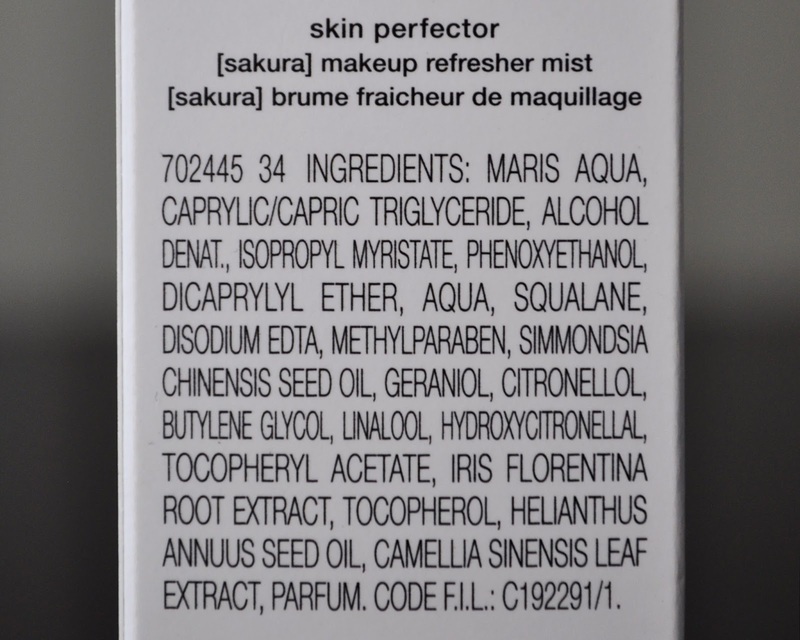 I love the way the Sakura Skin Perfector Makeup Refresher Mist feels and smells. I'm already on my second bottle. Infused with deep sea water and essential oils, the Bi-phase formulation comforts, soothes, revitalizes, and infuses moisture back into my skin during these sweltering Summer days and nights. For extra comfort, I like to keep my facial mists in the fridge (the freezer if I'll be out and about). 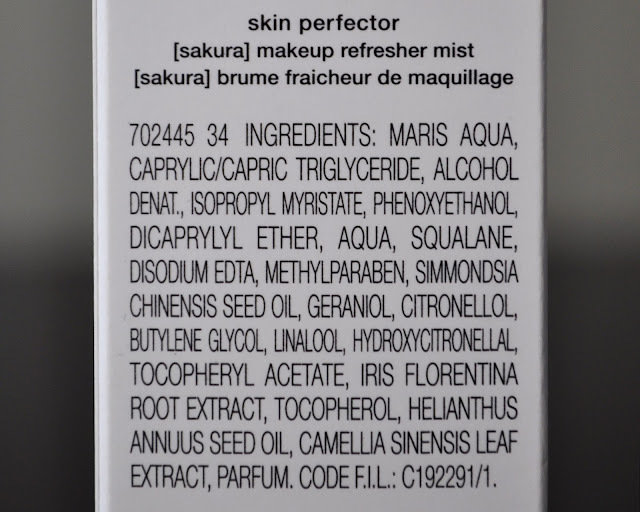 Shu Uemura's Skin Perfector Makeup Refresher Mist contains 50 ml/1.6 FL.OZ. and retails for 2,700 yen.